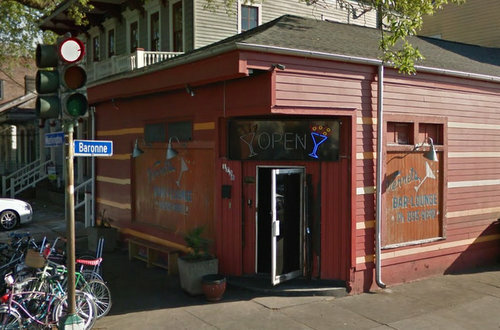 An attorney for Verret’s Lounge — the Central City bar where a man was fatally shot in January — asked the city’s alcohol board this week how long they would be required to maintain an armed security guard on the weekends. Gregory Young, 42, was inside the bar at 1738 Washington Avenue around 1:30 a.m. Jan. 31 when he was shot, police said at the time. Young died on Feb. 3, and his 39-year-old cousin — Michael J. Young, the rapper known as “Mike Dough” — was arrested on a murder charge in connection with his death. 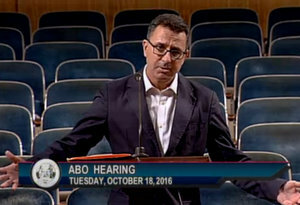 On May 17, the bar signed a consent judgment allowing it to keep its alcohol license as long as it complied with several conditions — keeping an armed security guard on Friday, Saturday and Sunday nights, installing six security cameras, and closing by 3 a.m. At the time of the agreement, the city’s Alcohol Control Board asked the bar to return after four months for an update. After a month’s delay to complete some paperwork, the bar’s attorney, Powell Miller, appeared before the board on Tuesday, Oct. 18. Assistant City Attorney Dan MacNamara said that he had reviewed the documents. “The terms of the consent judgment filed in this matter are being complied with,” MacNamara said. Miller then asked how long Verret’s would be required to keep contracting with the security guard. MacNamara protested that revisiting the security requirement was not on Tuesday’s agenda, and that the request caught him “a little unawares.” The agreement has no end date, said board chair Nyka Scott, but the agreement could be revisited with city officials. “There is no time limit, so if you want to get together and ask for an amendment to the consent judgment, we can entertain that at our next board meeting,” Scott said. The next meeting of the Alcohol Beverage Control board is set for Tuesday, Nov. 15. Michael Young, who remains jailed in preparation for the murder trial, appeared in court on Thursday to have his bond reduced from $3 million to $1.35 million, court records show.